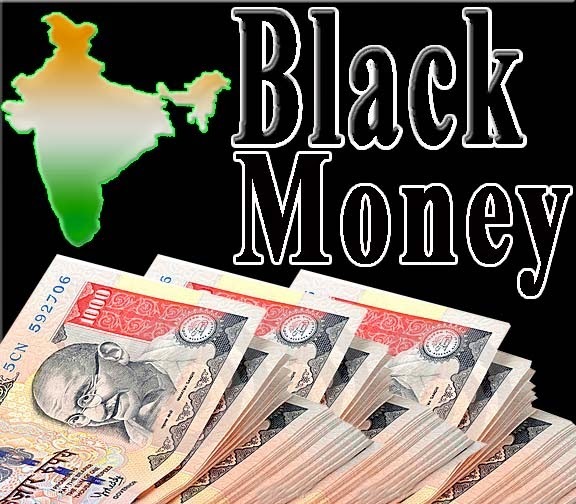 How Government of India Acts to Bring back Black Money? Government of india is one who fighting a lot for bringing back Black money which is deposited in other countries (out of india) with intense to save tax. In this article we will mention what kind of steps taken by indian government to bring back black money till date. we will keep updating this page for more updates and with future reference. Since Last general election 2014, Indian government, ruling parties, opposition parties are awake to bring back black money. Some other public figure also started movement to bring back black money, and there are some steps are taken and some yet to be taken, here is what significant steps are taken so far in the side of black money. - India gets tax data from France, British Virgin Islands. "Proactive and regular follow-up measures with France have led to obtaining further information in respect of the HSBC cases. Contacts have also been established with whistleblowers for obtaining new information," sources said. Mauritius promises India full-cooperation on tax treaty issues. - In April 2014, Indian Government disclosed to the Supreme Court the names of 26 people who had accounts in banks in Liechtenstein, as revealed to India by German authorities. - New government (after winning election) formed SIT (Special Investigation Team) to probe black money upon supreme court order. - In 27 October 2014, Indian Government submitted name of three people in an affidavit to the Supreme Court who have black money account in foreign countries. But on the very next day, Supreme Court of India orders centre Government to reveal all the names of black money account holders which they had received from various countries like Germany. The honorable bench of the Supreme court also asked the Centre not to indulge in any kind of probe rather just pass the names to them and Supreme court will pass the order for further probe. - Government of India submitted the names of 627 people in the Supreme Court of India in a sealed envelope on 29 October 2014. - In June 2014, the Finance Minister Arun Jaitely on behalf of the Indian government requested the Swiss Government to hand over all the bank details and names of Indians having unaccounted money in Swiss banks. - As per the Global Financial Integrity report 2014, India ranked 3rd on pursuit of suspected black money stashed abroad with total amount of Rs 6 lakh crore. Russia top with USD 122.86 billion, China on 2nd sport with USD 249.57 billion. - In March 2012, the Government of India clarified in its parliament that the CBI Director's statement on $500 billion of illegal money was an estimate based on a statement made to India's Supreme Court. - In May 2012, the Government of India published a white paper on black money. It disclosed India's effort at addressing black money and guidelines to prevent black money in the future. - 30 January 2012, MC joshi committee draft report on black money saying total black money deposited is INR 5 Billion. - Government of india has received 782 Black money account holder's list from HSBC. Government refused to reveal the name of black money holder, giving reference to the policy signed between countries. - On the 4th July, 2011, Supreme court of india has ordered to appointment of a Special Investigating Team (SIT) headed by former SC judge BP Jeevan Reddy to watch on action taken by GOI on black money. - India has signed TIEA with 13 countries to bring back black money and to share information about black money holders. - India against corruption movement started in leadership of baba ramdev, arvind kejriwal, anna hajare. - Government of india has revised the double taxation avoidance agreement to get investigations of black money from Switzerland bank. - Government of india has given white paper for total money deposited in swiss bank which estimated nearly INR 92.95 billion. P.S :- we will keep updating this page until all black money comes to india, Thank you.